Molly Polverento, MSEd, CPH, is an Outreach Specialist in the Department of Family Medicine. In this role, she is responsible for coordinating partnership activities between the department and local and state public health departments. She also facilitates collaboration on practice-based research projects through her role as with the Great Lakes Research in Practice Network (GRIN). Her responsibilities include providing support to the Michigan Association of Preventive Medicine and Public Health Physicians. Mrs. Polverento also works with the MSU Family Medicine Residency Network to develop curricular materials related to public health, population health, and community medicine. Prior to coming to MSU, she spent much of her professional career working with local and state public health programs. She has experience in public health program management and evaluation, grant writing, strategic planning, and policy development and advocacy. She has served in leadership roles with the Michigan Public Health Association and the Ingham County Board of Health. 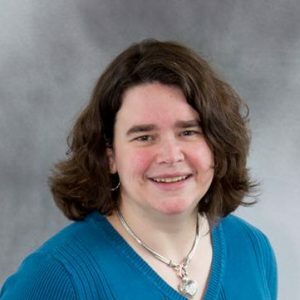 Molly earned her MSEd in Higher Education Administration from Illinois State University in 1999, where she focused on the role of volunteerism and student learning in higher education. She earned her Certification in Public Health from the National Board of Public Health Examiners in 2015.